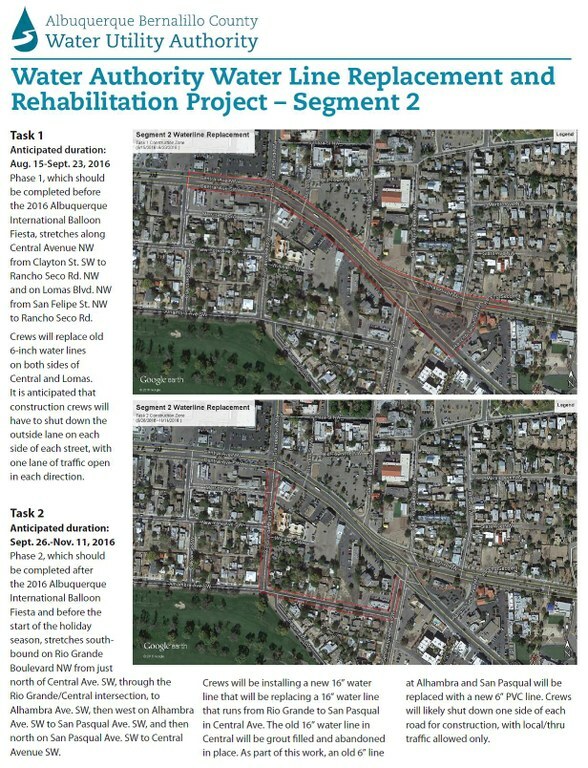 The Albuquerque Bernalillo County Water Utility Authority is replacing and realigning old water lines that are in conflict with the proposed ART (Albuquerque Rapid Transit) Project. Old water lines are being "abandoned in place" to minimize the impact on are residents and businesses and will be filled in for safety. The Water Authority plans to replace any medians it has to remove as part of this work. The Water Authority is paying for this construction from its capital budget for replacement of aging infrastructure. Depending on costs, it may have to issue bonds, but this is a normal practice for capital projects and no rate increases associate with ART are planned at this time. 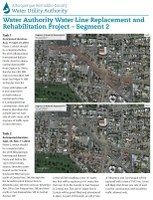 The Water Authority is going through the normal process to have our work and traffic control permitted through the City of Albuquerque for this project. No building permits required. Read the rest of the WUA handout.